Add this awesome four piece measuring cup set to your kitchen today! Whether you are a hard working home maker, a short order cook, or a chef at a high volume restaurant, if you mix ingredients at all then you simply must have a four piece measuring cup set. 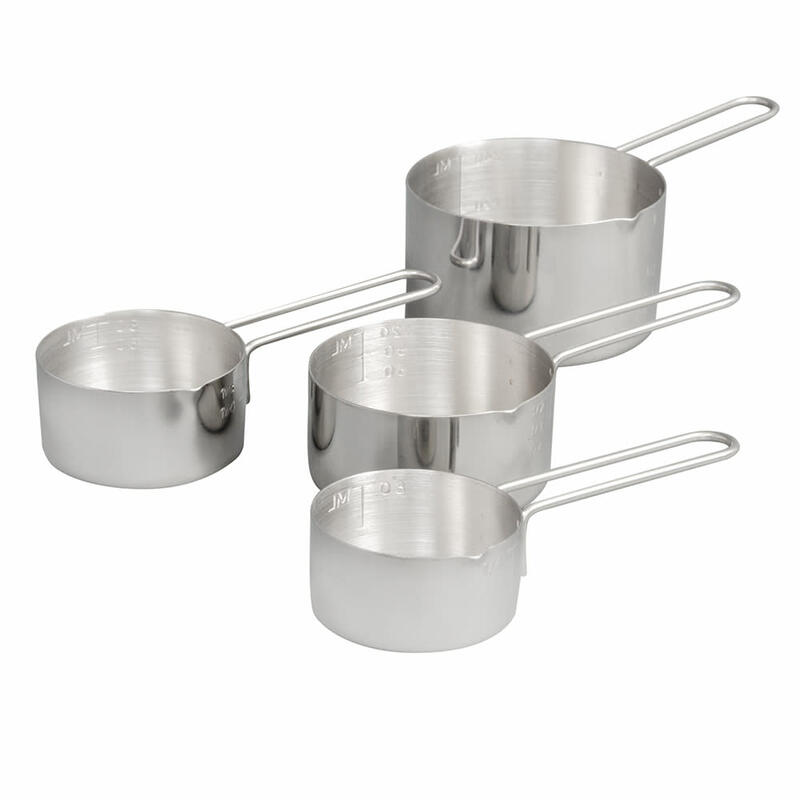 Four piece measuring cup sets are an essential part of any chef's kitchen. This four piece measuring cup set from Vollrath is an awesome addition to any kitchen. Constructed of 18/10 stainless steel this four piece measuring cup set can withstand even the toughest kitchens. Durable measurement stamps are embossed on the insides of each cup for easy measuring and mixing. This four piece measuring cup set is dishwasher safe so that clean up is a breeze!